When it's time to sell a rental house, sometimes the unexpected problems encountered by some sellers are based on the fact the purchase was made without devoting much thought to buying a house that is easy to rent. Not every rental home starts out as a rental house, either, because sometimes these homes are converted into rentals when a seller moves elsewhere and is unprepared or does not want to sell. Remember the adage: location, location, location. Don't buy a home in a troubled neighborhood where gunshots ring out night after night and then wonder why it's difficult to rent unless you enjoy being a slumlord. 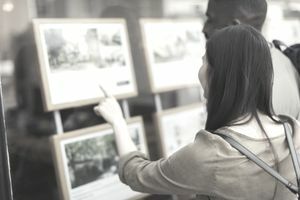 A good location is generally a desirable and popular neighborhood with good schools, where curb appeal is evident, and homeowners display pride of ownership. If you buy a home in a neighborhood with noise problems such as train tracks nearby, a freeway overhead or near a busy intersection, the value will always be less for that home because of its location. Homes within a short commuting distance to centralized working locations or near transportation to those employment hubs are preferred. The highest possible market value is typically obtained in a market of homes where homeowners reside. That's because homeowners will pay a premium to live among other owners. Do not buy in an area with a large percentage of rentals unless that area is already in high demand such as a central downtown location, close to work and transportation. Sometimes you can easily pick out the rental house on a street where mainly other homeowners live. Tenants don't always maintain the yards in the same condition, with the identical meticulous attention to detail afforded by homeowners. The home might show deferred maintenance because tenants sometimes don't report problems to the owners for fear any repair costs could cause an owner to raise the rent. It is not to say that a two-bedroom home is hard to rent but it is easier to rent a 3-bedroom, and the home will command a higher rental amount. Homes with 3 bedrooms and 2 baths tend to appeal to families and to individuals who need to take on roommates. A potential tenant who needs a 2 bedroom home might be tempted to pay a little bit more for a 3-bedroom home, but a tenant who needs 3 or more bedrooms will not rent a 2-bedroom house. The best resale value is often found in homes with 3 or more bedrooms. From an investment point of view, although older homes such as those built before 1950 are often better built, newer homes tend to require less maintenance. Appliances, water heaters, HVAC systems, roofing, plumbing, and electrical systems, might not need to be replaced in a home that was built within the last 5 to 15 years. Newer homes typically don't require retrofitting, either, like an older home might. Code requirements are sometimes grandfathered in until a repair becomes necessary, especially with regard to water-saving devices or low-energy items. Bear in mind that replacing a shake roof, for example, with a composition shingle roof, could involve removing the underlayment and installing a new layer of OSB or plywood, which drives up the cost. Hidden costs of ownership can eat away at potential profits. Find out if the home is insurable and if the home will be vacant for any length of time whether you can purchase vacant home insurance and the fee for that specialized policy. Do you need earthquake or flood insurance? Examine the tax records to determine if the tax rates include additional fees that don't affect other homes nearby. Make sure updates were permitted, especially if it appears that the home could have been remodeled without permits. Verify utility rates and types of utilities. An all-electric home, for example, might cost more to heat than a home on natural gas, and dual pane windows offer more insulation than single pane. And here's a bonus tip: If the home is located within a community regulated by a homeowner's association, find out if there are restrictions on rentals, either short term or long term. The last thing you need or want is to buy a home to rent it out only to discover that you are prohibited by the HOA to offer the home for rent.